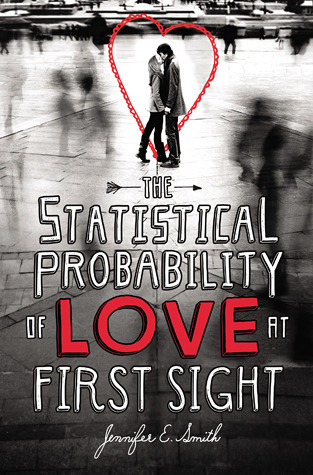 Review: The Statistical Probability of Love at First Sight - Book.Blog.Bake. This story made me happy. It really shouldn’t, of course. There’s nothing particularly original about the premise of this book or any of the events that transpire. Meeting in an airport is almost a cliche, but it doesn’t come off that way in this story at all. It’s actually remarkable how much I liked this book, because a book that’s billed as any kind of love story is not what I normally will choose to read. I think I owe most of that to Hadley and Oliver, two main characters I just absolutely adore. Hadley is insecure about her family, but at times brave and impulsive, and Oliver is just so quick-witted. I want to hang out with them all day. The plot that moves the book forward is fairly standard, but it works. Even when the book deals with some pretty heavy issues of family, it never really lost its sweetness for me. There are bittersweet passages, but on the whole this story is like eating a slice of delicious chocolate cake, if you want to compare books to desserts. It’s a quick and highly recommended read. Final Impression: Despite being the type of book I wouldn’t normally pick up, I really liked this one. It’s endearing with great main characters who I came to care about within the first fifty pages. 4/5 stars. Book Hang-ups I Need to Get Over | Book.Blog.Bake. Talkin’ about Titles | Book.Blog.Bake. You know, sometimes it’s relaxing and fun to read a cliche. 🙂 Nice and familiar. Good point–cliches do become cliches for a reason, after all. I loved this book when I read it, but this is a typical kind of read for me. I’m glad you enjoyed it more than you expected to!